When the heart rate is very slow (usually less than 60 beats per minute), the body is not getting enough oxygen. Less oxygen causes symptoms such as dizziness, extreme fatigue, shortness of breath, or fainting. Condition when the heart rate is very slow, and when the symptoms emerge it is called bardycardia which can be cured with a pacemaker. The heart can work very slowly for several reasons. Sick sinus syndrome (or Sinus node dysfunction) occurs when the heart’s natural pacemaker (the sinus node) sends electrical signals very slowly. Cardiac block occurs when the electrical signals emitted by sinus node are blocked before they reach the heart chambers. The natural process of aging. A heart attack that leaves a scar. Sometimes the real cause can not be determined. The pacemakers reduce the symptoms of bradycardia by stimulating the heart with electrical signals, with rhythms that match the metabolic demands of the body. The pacemaker implantation is simple and relatively short surgical procedure, which is performed in an operating room, under local anesthesia – the patient is awake and aware, but during intervention, due to the applied anesthesia, patient does not feel pain. In the pacemaker operating room there is an x-ray, which allows the cardiologist to see the introduction of electrodes in the heart, pacemaker and to monitor the patient’s heart rhythm and surgical instruments. 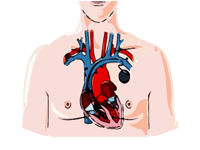 One or two electrodes of the pacemaker are inserted into a vein in the region of below the collarbone and squeezed through to the inner wall of the right atrium or chamber, where there are fixed. Guidance of electrodes to the heart is controlled by x-rays. Pacemaker generator is implanted in the small “pocket” under the skin and connected to an electrode inserted into the heart. Pacemaker generator is adjusted for optimum working, and then the subcutaneous pocket is stitched. Pacemaker operation, together with the setting, usually lasts from twenty minutes to an hour and a half, depending on the type of pacemaker electrodes, and patient, and usually lasts for about half hour. Over the next 24 to 48 hours, the patient’s chest with a implanted pacemaker, remains partially immobilized, in a bandage. The patient should not get out of bed 24 hours after the pacemaker operation, because electrodes in the heart can move from the optimal places. The patient remains in the hospital under medical supervision for several days. After release, the patient should come for regular checkups on a schedule set by the doctor – a cardiologist. Each patient at discharge gets printed identification card, and for some types of pacemakers and a special “magnetic” card – like a credit – where the data is stored electronically on cochlear implants. Patient who have implanted pacemaker should always carry with him this card, in case of unforeseen health problems, and even those who do not have a direct connection with the operation of the pacemaker. A patient who has a pacemaker implanted should periodically attend to regular maintenance checks, to verify the correctness of the pacemaker and the state of its battery. These regular check-ups are in the general schedule of doctor specialist who is performed the implantation. 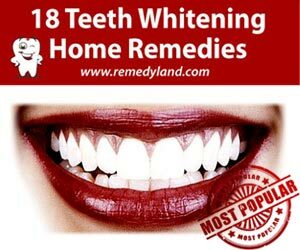 If you experience any problems, you must without any hesitation contact your doctor. Battery lasts for several years, depending on the speed of wear, models and ways of pacemaker working . Modern batteries can last over ten years, but that does not mean we should ignore the regular checks and wait for the battery to completely discharge. Since the battery is fixed in the casing of the generator you need to change the entire generator. The first signs of low pacemaker battery will be established by your cardiologist before you even feel any symptoms. Replacement alone is a minor surgical procedure, procedure is simpler and shorter than the implantation. After replacing the pacemaker generator patient usually goes home the same day, or may remain a day or two. Your pacemaker is with his structure protected from interference that could be caused by the electrical devices in your vicinity. However, if you think that this could be the cause of your occasional dizziness or heart palpitations, simply move away from electrical appliances or turn it off. If there is interference it will stop and your pacemaker will continue to operate normally. Electric appliances can not permanently damage the pacemaker. Most electrical devices with which you daily come in contact are safe and will not interfere with your pacemaker. Prices range for pacemakers is $ 30,000 to $ 40,000 plus the additional cost of the pacemaker procedure, depending on the facility where the person receives a pacemaker.